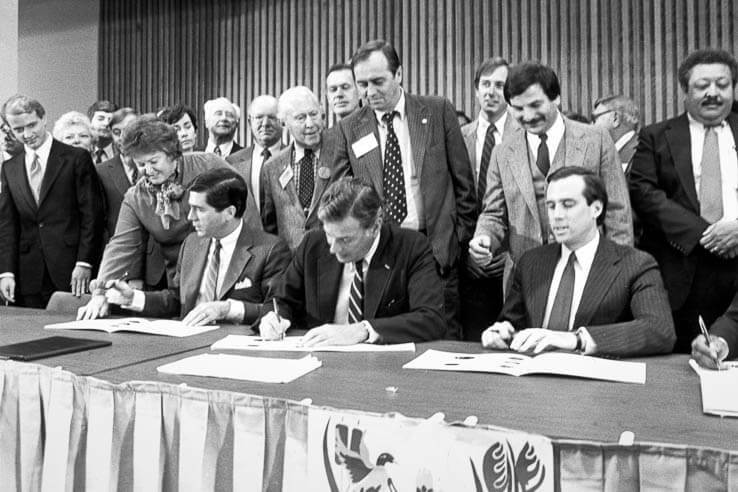 Since its formation in 1983 with the signing of the first Chesapeake Bay Agreement, the Chesapeake Bay Program has been fueled by science and driven by partnership. By sticking to these values, the Bay Program has made significant accomplishments in its efforts to restore and protect the Bay, becoming a regional, national and international leader in ecosystem science, modeling and restoration partnerships. 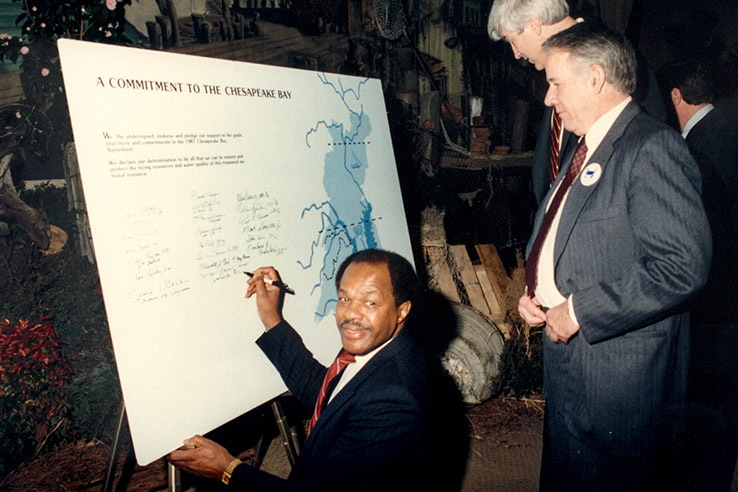 In 1983, Chesapeake Bay Program partners included the District of Columbia, Maryland, Pennsylvania, Virginia, the Environmental Protection Agency (EPA) and the Chesapeake Bay Commission (CBC). This alone represented unprecedented cooperation among multiple state and federal agencies, and quickly grew to include committees to advise the partnership representing local government, resident and scientific interests. However, as time passed, it became clear the Bay could not be restored without the involvement of the entire watershed. While states like Maryland and Virginia have direct connections to the Bay, its watershed extends up to New York and out to Delaware and West Virginia. With the signing of the 2014 Chesapeake Bay Watershed Agreement, those three additional states were included in the partnership. Beyond the states, the partnership has expanded to include more federal involvement as well. EPA has always acted as a representative for all federal agencies, but in 2010, President Barack Obama signed an executive order calling on other federal agencies to play a larger role in restoring the Bay. This included agencies previously unaffiliated with the Bay Program, such as the Department of Defense and the Department of Homeland Security. The Bay Program’s unique cooperation among federal, state and local agencies; nonprofits; and academic institutions, has gained attention from others who want to replicate our successes. Our partnership has served as a prototype for the EPA’s National Estuaries Program and was highlighted as a model at the White House Conference on Cooperative Conservation. The Bay Program also regularly hosts delegations from other large-scale restoration efforts around the United States and the world. 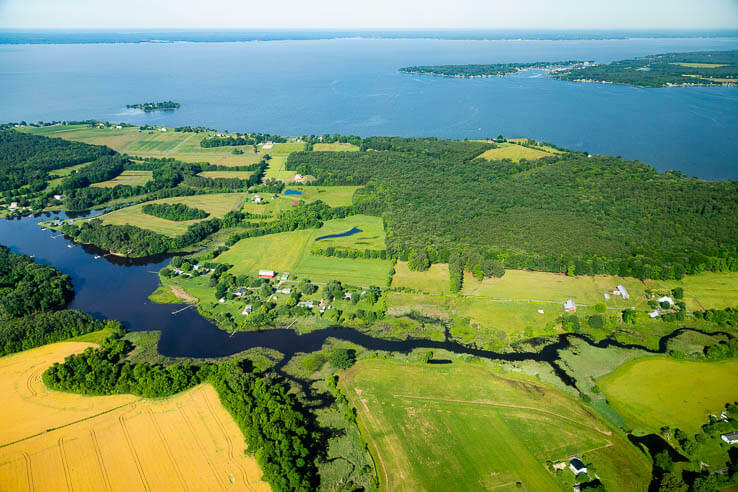 By using science to paint a picture of the Chesapeake Bay, the Chesapeake Bay Program provides decision-makers from around the 64,000 square-mile watershed with the tools to determine what their communities can do to improve water quality locally and downstream. Mayor Leo Lutz of Columbia, Pennsylvania, Scott Phillips of the U.S. Geological Survey, and Lee Currey of the Maryland Department of the Environment discuss how monitoring and modeling efforts complement each other in order to reveal the Chesapeake Bay watershed in fine detail. By having multiple partners in every part of the region, the Bay Program was able to establish the Chesapeake Bay Monitoring Program, a network of monitoring sites around the watershed using consistent standards and protocols for water monitoring in each jurisdiction. While it may seem obvious now, it was unheard of in the 1980s for states to use the same monitoring protocols, and this innovation set up the partnership for success. Not only did it make it possible to compare progress among the jurisdictions, but it also began the process of building trust across the partnership. This trust allowed the Bay Program to apportion pollution responsibly across the jurisdictions based on one model that everyone agreed to. The model, now in its sixth iteration, uses state-of-the-art science and monitoring data to replicate conditions of the region. 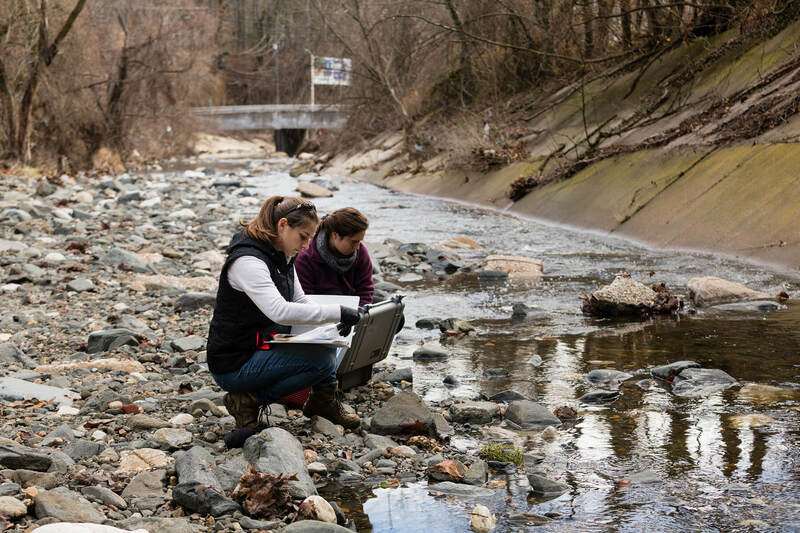 By combining sophisticated modeling data and real-world monitoring data, we gain a comprehensive view of the Chesapeake ecosystem—from the depths of the Bay to the upper reaches of the watershed. Estimate the amount of nitrogen that falls onto the Chesapeake Bay watershed from the atmosphere, including sources such as vehicles and power plants. Predict the impacts that human and agricultural animal populations, development patterns and other changes to land uses will have on future nutrient and sediment pollutant loads to local waterways and the Bay. Estimate the amount of nitrogen, phosphorus and sediment that reaches local waterways and the Chesapeake Bay based on different assumptions about pollutant-reducing practices and technologies put in place. Examine the effects that changes in pollution loads from the surrounding Chesapeake Bay watershed have on the Bay’s water quality and biological resources. An online version of the model—called the Chesapeake Assessment Scenario Tool or CAST—is available to anyone who wants to view and use this information. The modeling results help partners from federal agencies to local nonprofits identify which pollution prevention strategies and conservation practices make the most sense, given their available resources. We have more than 30 years-worth of data, but that doesn’t mean we know everything. This year’s record rainfall could alter our understanding of the Bay, and we’ll have to see how the ecosystem reacts to it. We’re still monitoring to see what the impacts are, but thanks to our monitoring partnership, we have a network already set up and data to compare it to. Where monitoring sites don’t already exist, we’re looking into a new source of information: residents. Through the Citizens Monitoring Cooperative, a project of the Bay Program, volunteer monitoring groups can learn how to collect quality data from their local streams which can then provide useful data to the jurisdictions and Bay Program on areas that we don’t have the capacity to monitor. On October 12, the Bay Program signed a memorandum of understanding to even further support that citizen monitoring effort and incorporate it into our partnership where we have gaps. That way, we can look at this data with our already established network of monitoring sites and take all the resulting information into consideration as we move forward, propose new projects and mange resources. Over 35 years, the Chesapeake Bay Program partnership has expanded to include more and more people as we’ve grown stronger in our founding principle: no one can restore the nation’s largest estuary alone. A similar version of this article originally appeared in the Bay Journal.